In 1960 Allen Beach published Bainbridge Landings, a detailed history of the island's steamboat era - a time when going to Seattle was considered "an ocean voyage in miniature". The booklet includes many photographs and drawings, a map of the island's steamer landings, and a list of all the steamers that served Bainbridge Island. 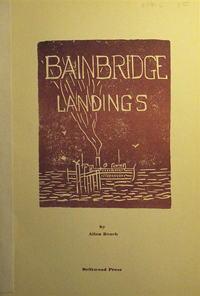 A copy of Bainbridge Landings, found among the books donated to the Bainbridge Island Friends of the Library, was given to the Bainbridge Historical Society for its collection. 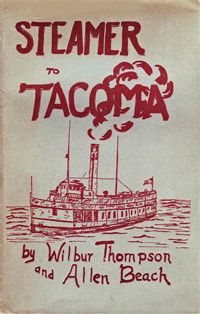 Together with Wilbur Thompson, Beach also wrote Steamer to Tacoma (1963).